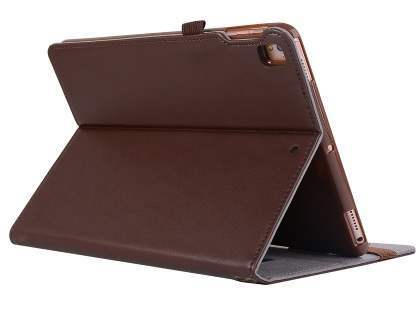 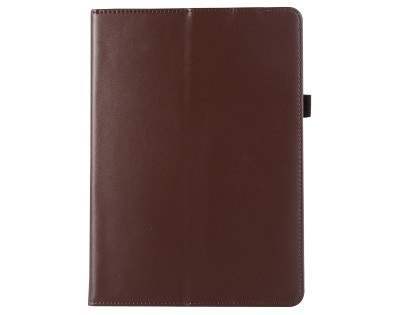 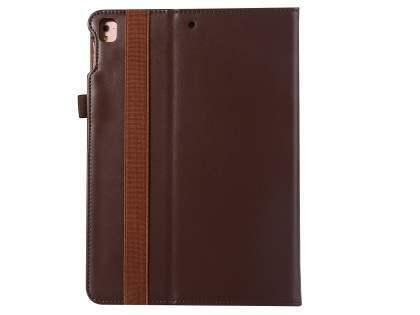 With a smooth and vibrant genuine leather surface, this case boasts quality, innovation and versatility that sets it apart - making it the perfect all rounder case for your iPad. 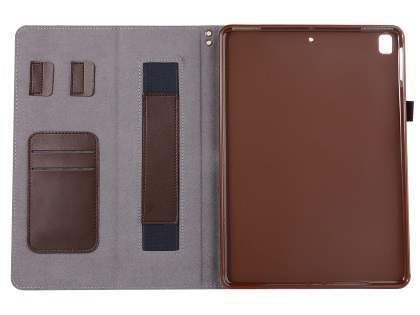 Your iPad sits snugly in a specially crafted tough yet flexible frame, where the interior is lined with microfibre with intricate stitching around the borders. 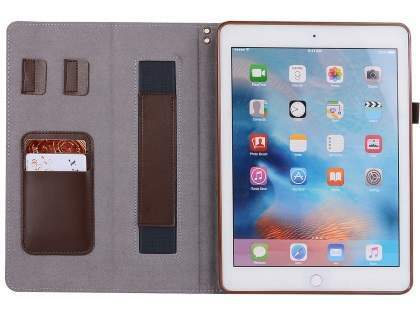 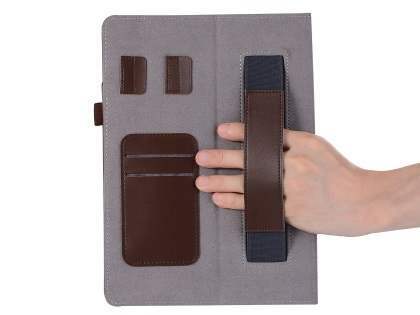 Inside the case features premium leather tabs that allow you to adjust the stand to your preference, as well as convenient pockets to store cards or notes. 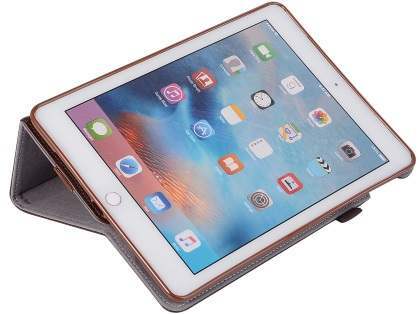 Hold your iPad with ease and comfortability with an inbuilt premium leather band - perfect for reading and holding your iPad for extended periods of time. 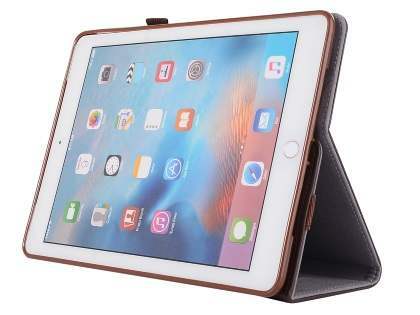 There are many ways for you to view your iPad, allowing you to view presentations, websites and work with documents without having to hold up your iPad. 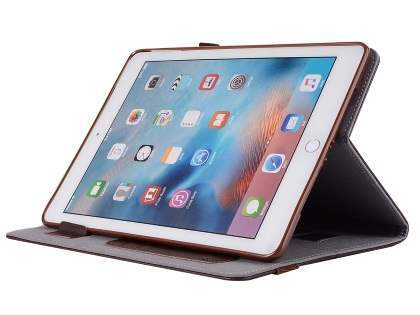 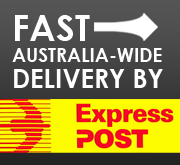 Lay it flat, upright or on a specific angle - the choice is yours. 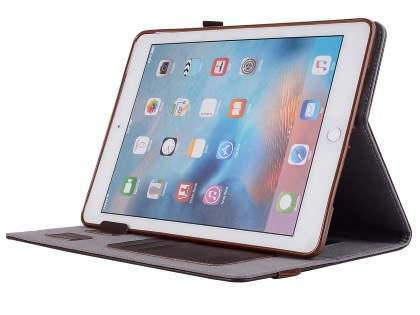 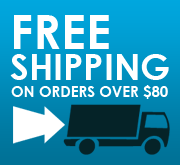 The many ways to use the stand allows you to find the perfect angle for you.